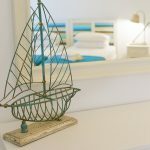 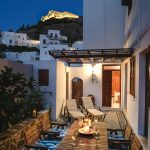 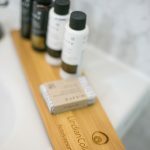 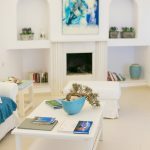 Located in the heart of bustling and unique Lindos, Thea Villas are bringing a modern twist to the traditional Greek style house. 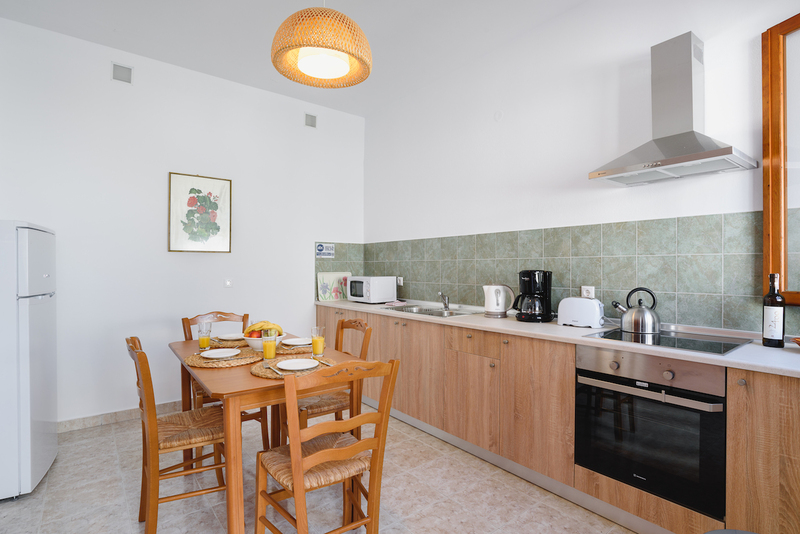 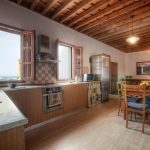 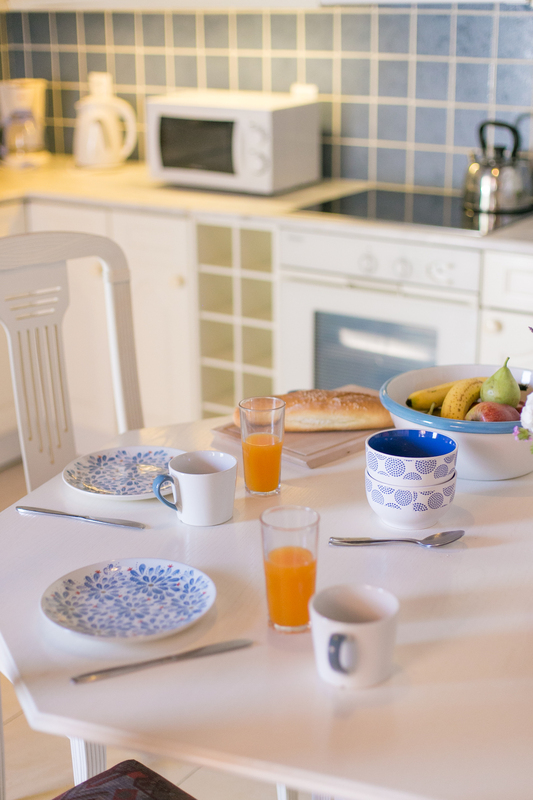 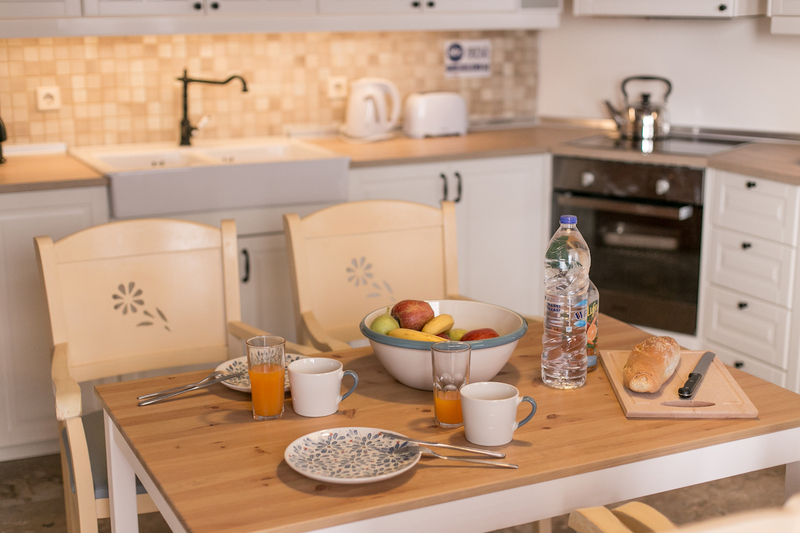 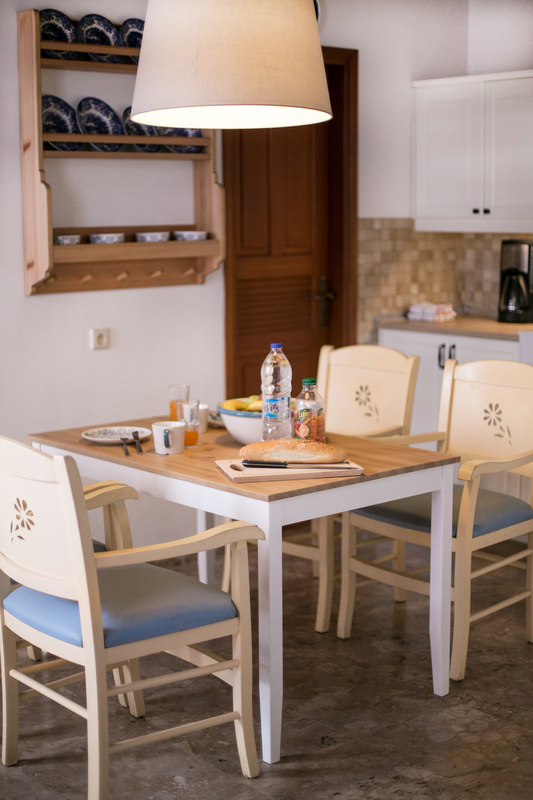 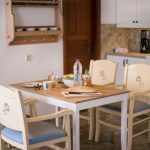 With fully equipped kitchens and breathtaking views, Thea Villas are all you could possibly need for your Greek retreat. 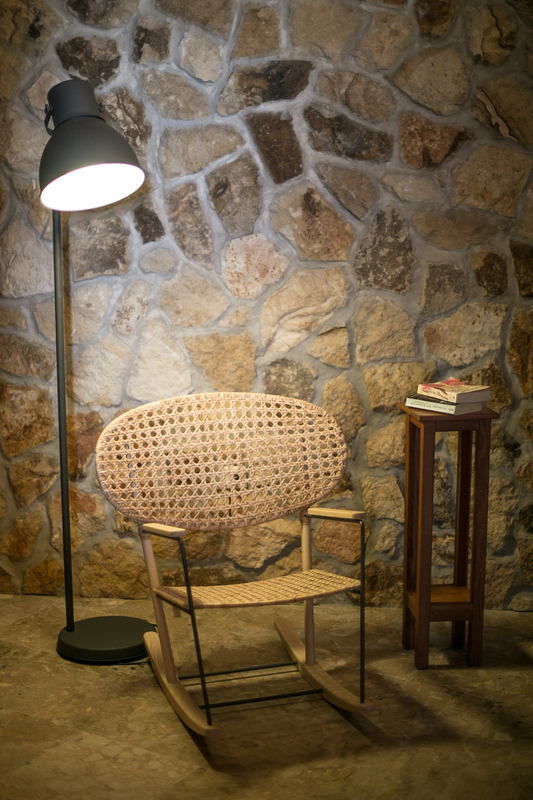 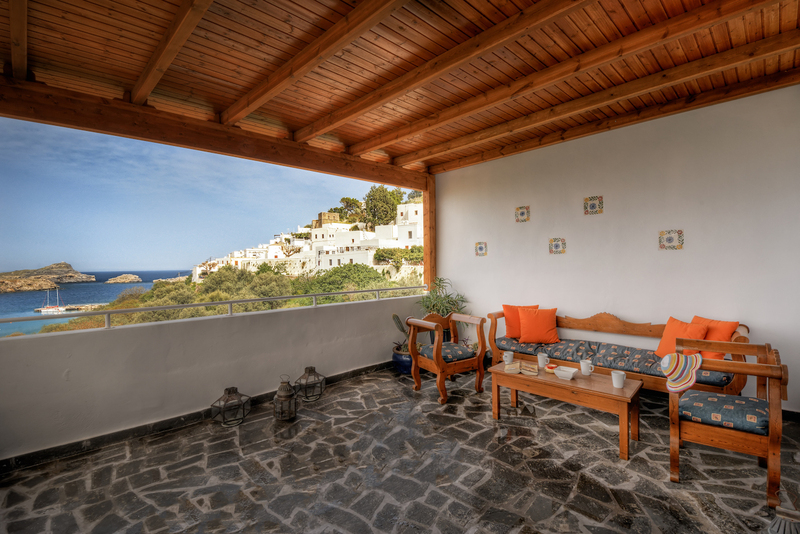 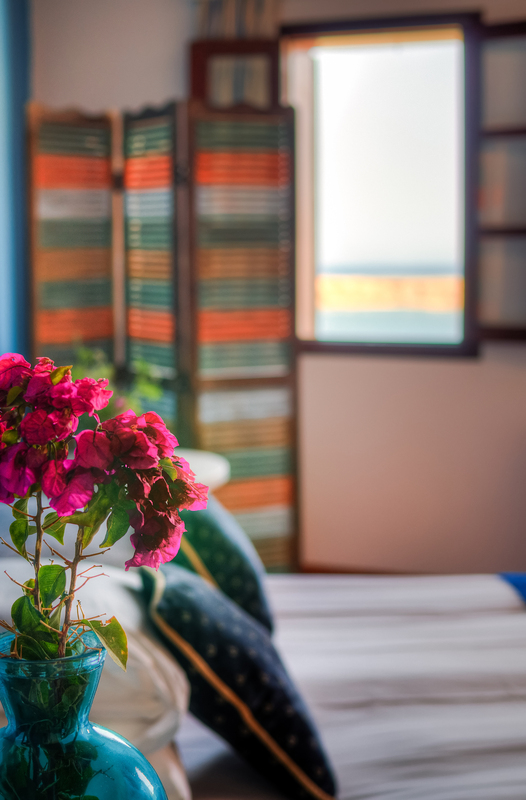 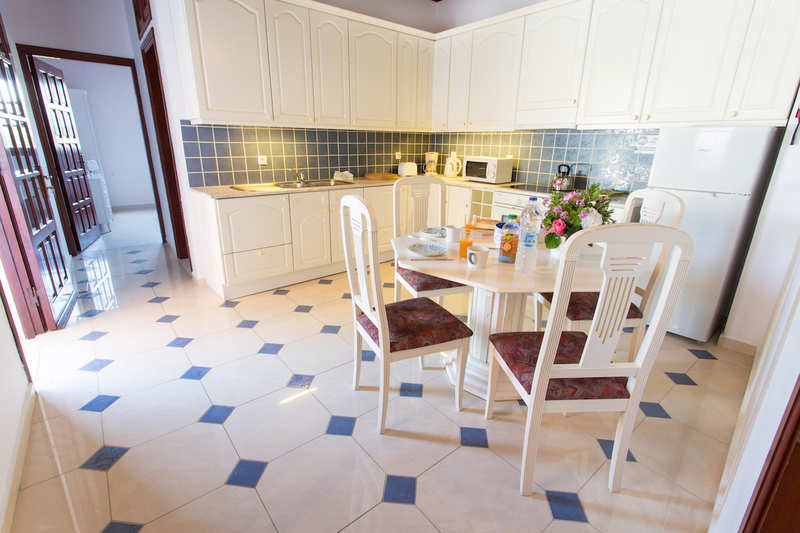 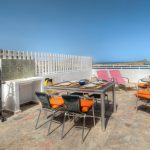 Each villa has its own terrace complete with sunbeds, as well as seating area and a barbeque. 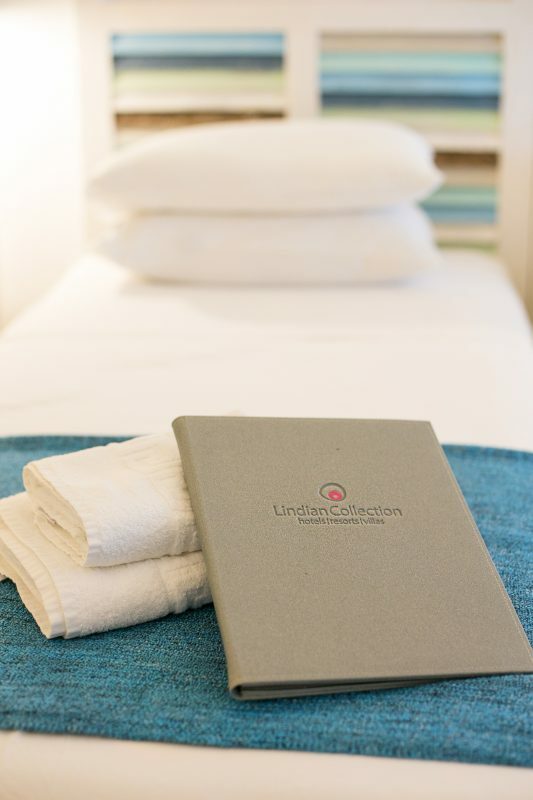 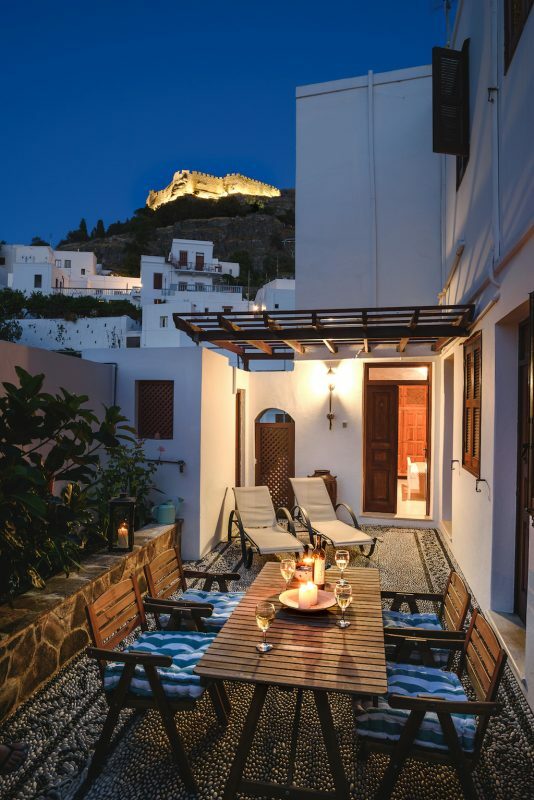 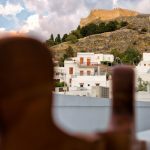 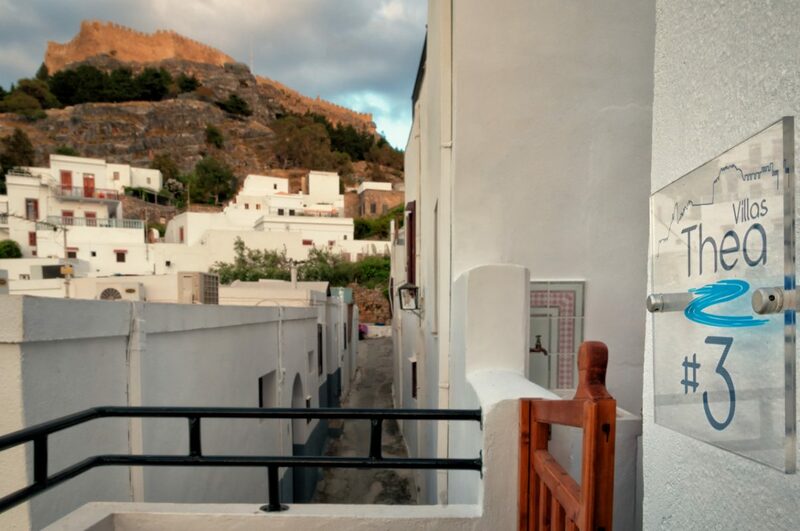 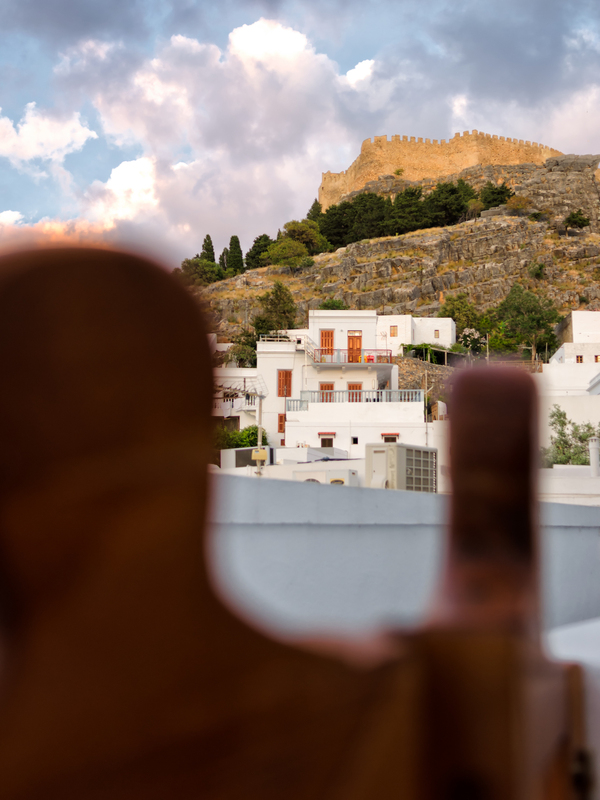 Enjoy your nights overlooking the village itself and the Acropolis of Lindos. 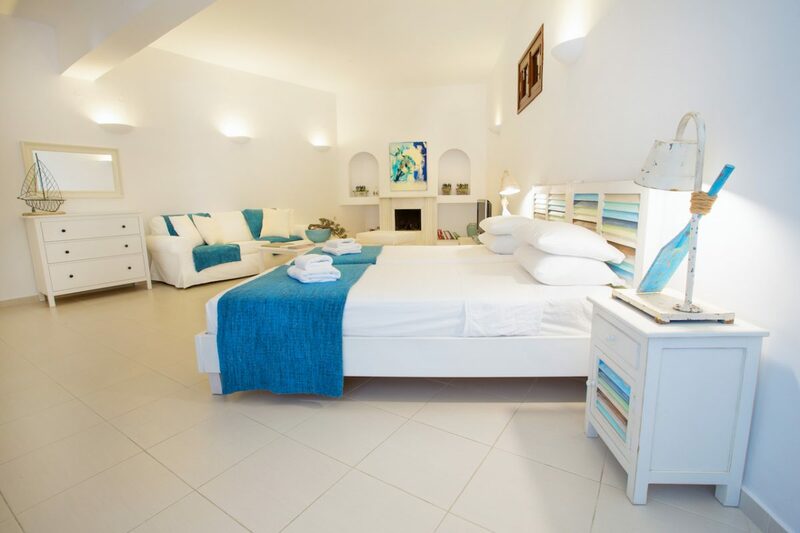 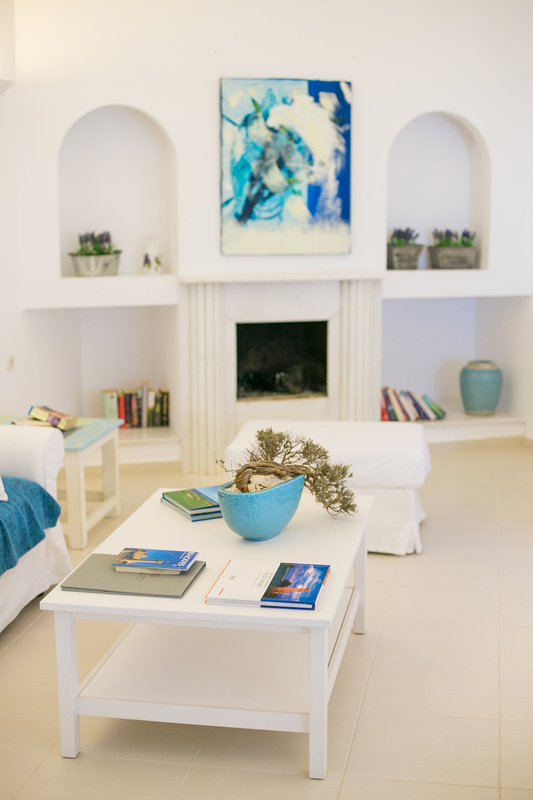 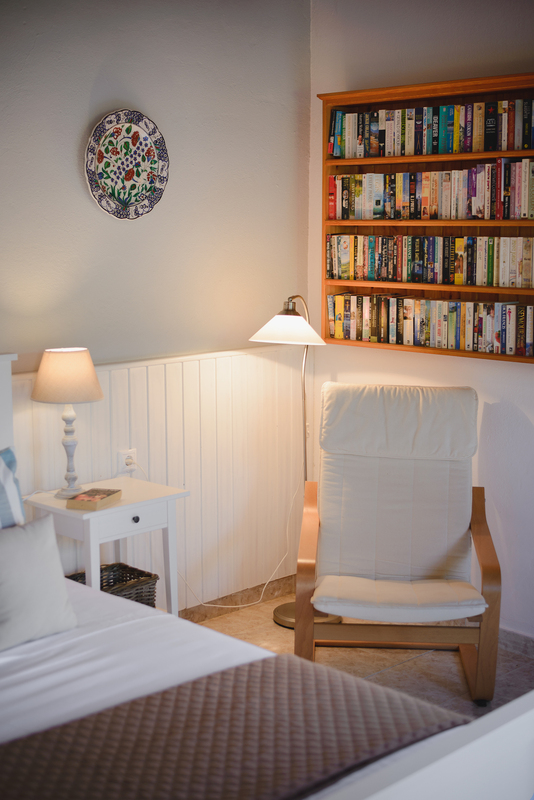 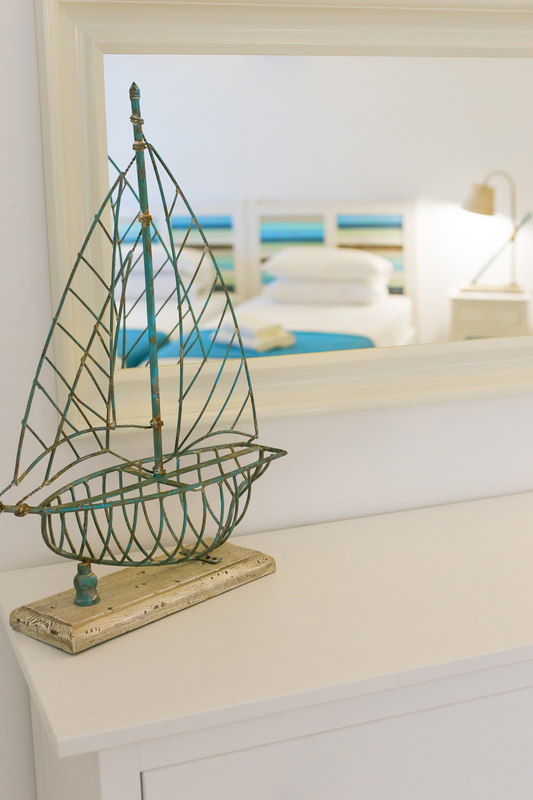 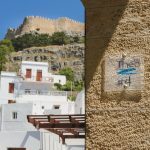 Thea Villas are just a short walk from the main square of Lindos and a few minutes walk away from Lindos main beach. 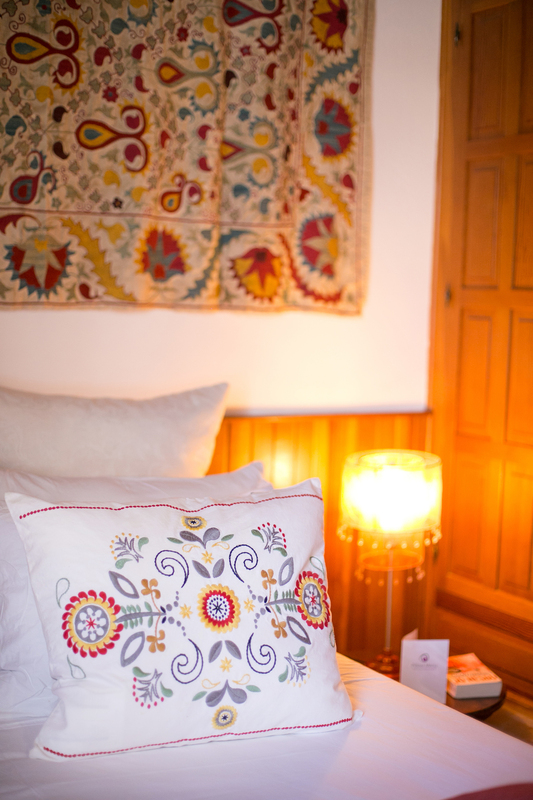 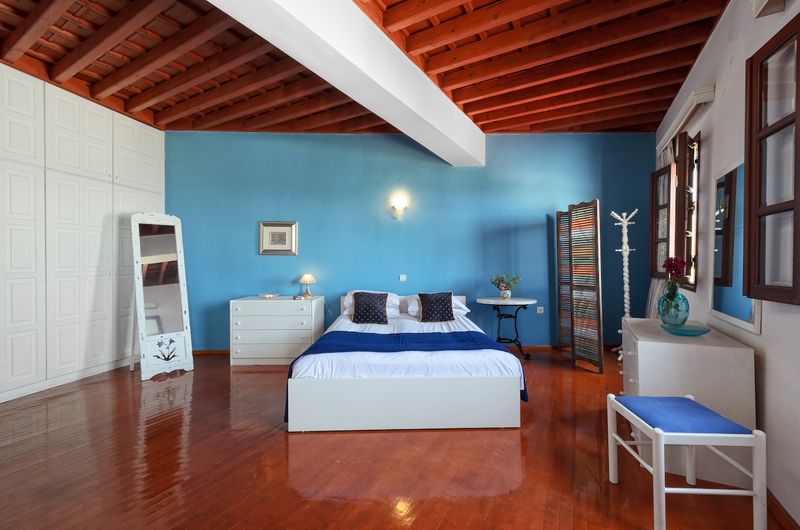 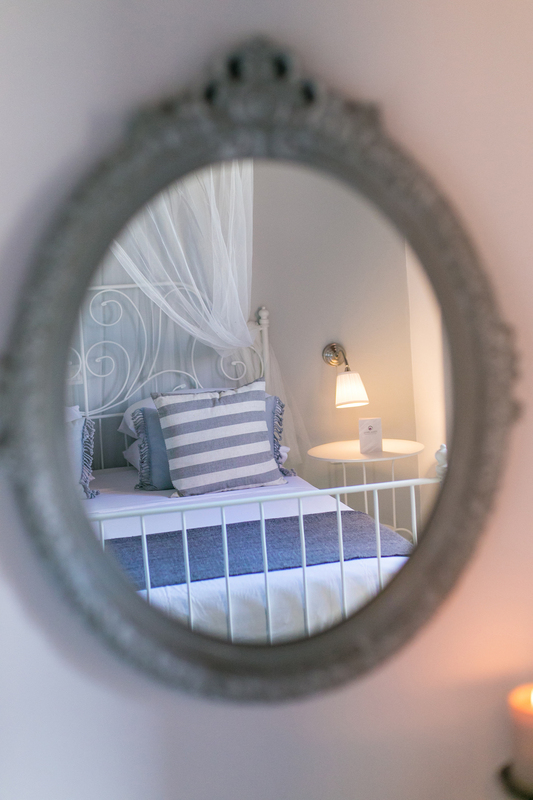 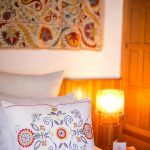 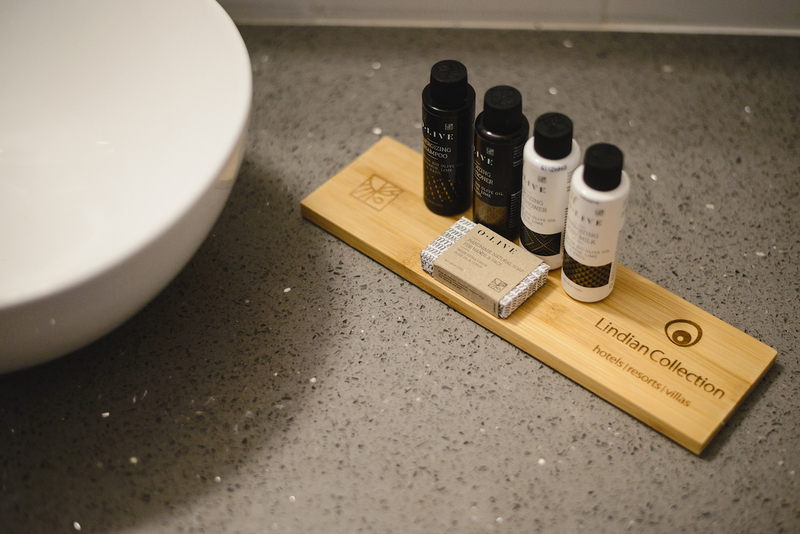 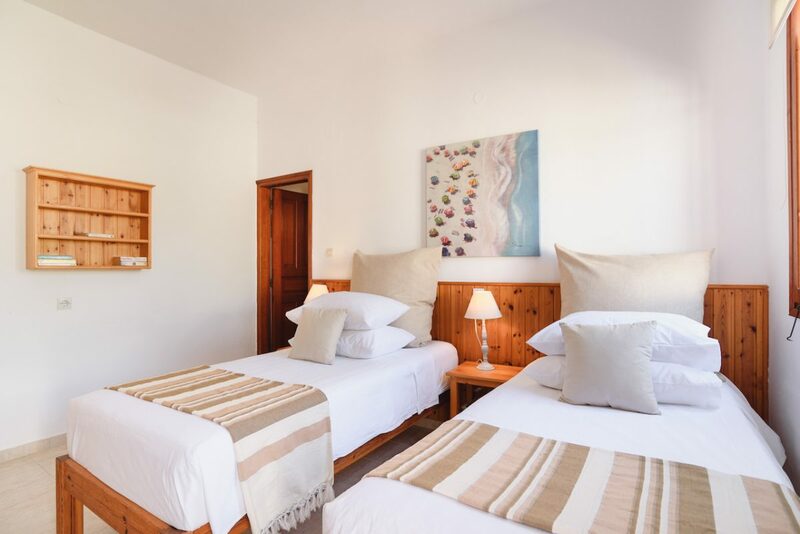 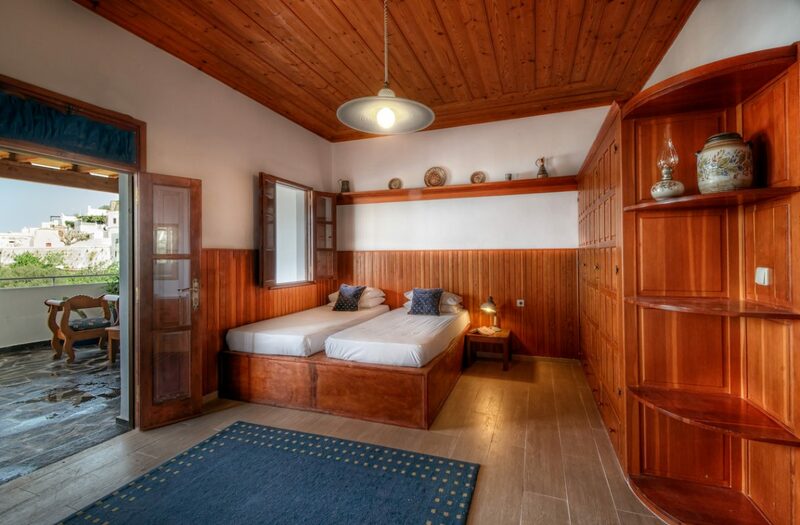 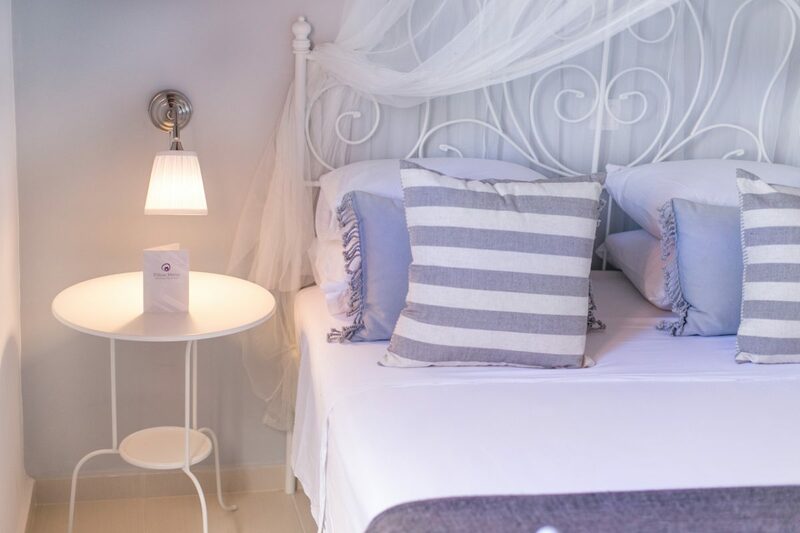 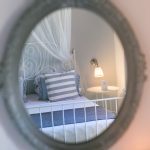 Thea 1 consists of 2 bedrooms, the first with a king size bed and an en-suite bathroom and the second with 2 singles on a traditional Lindian bed. 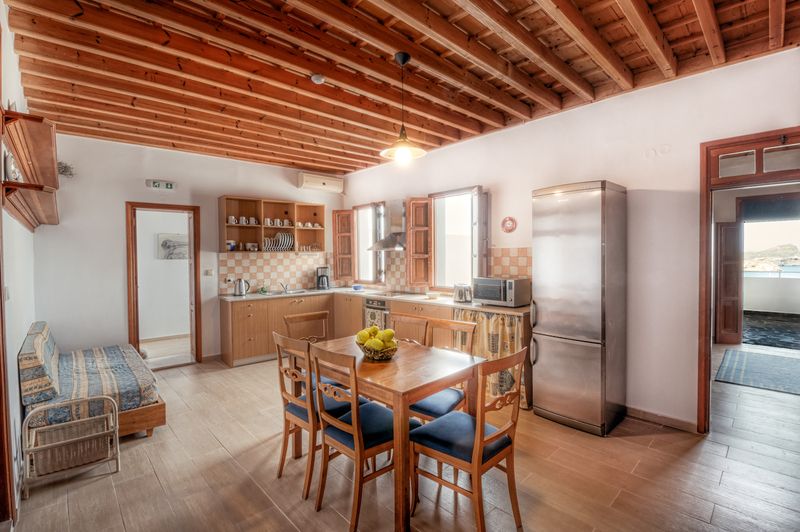 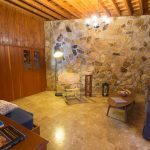 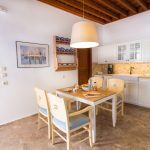 A separate kitchen / living area where there are 2 single sofa beds, a dining table, a fully equipped kitchen and a comfy sofa/TV corner. 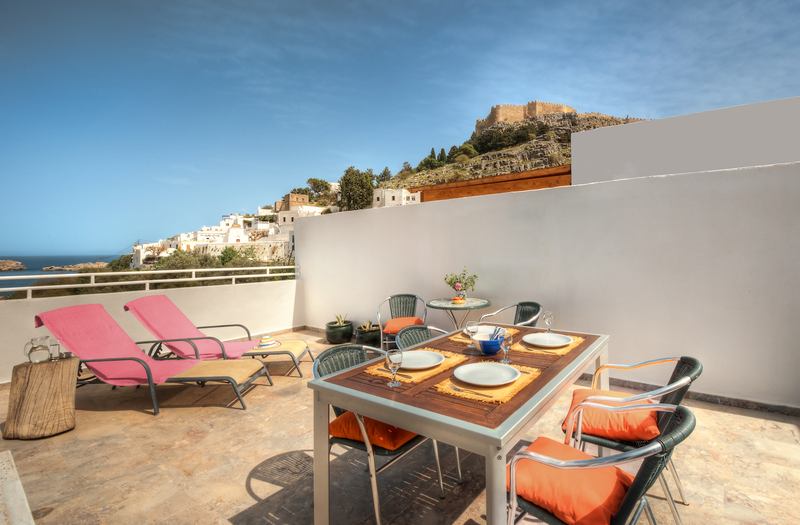 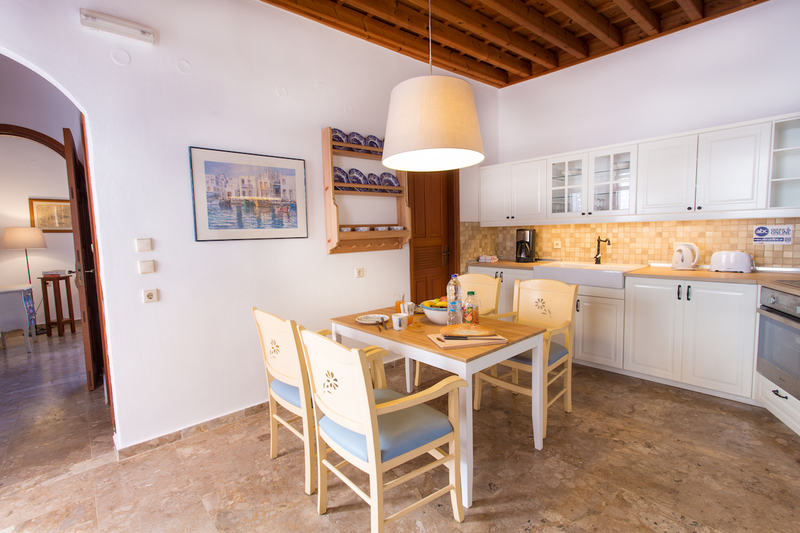 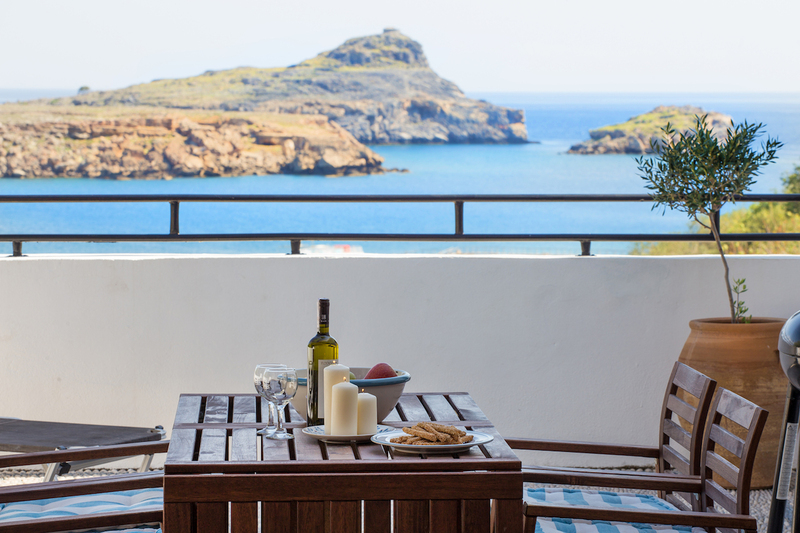 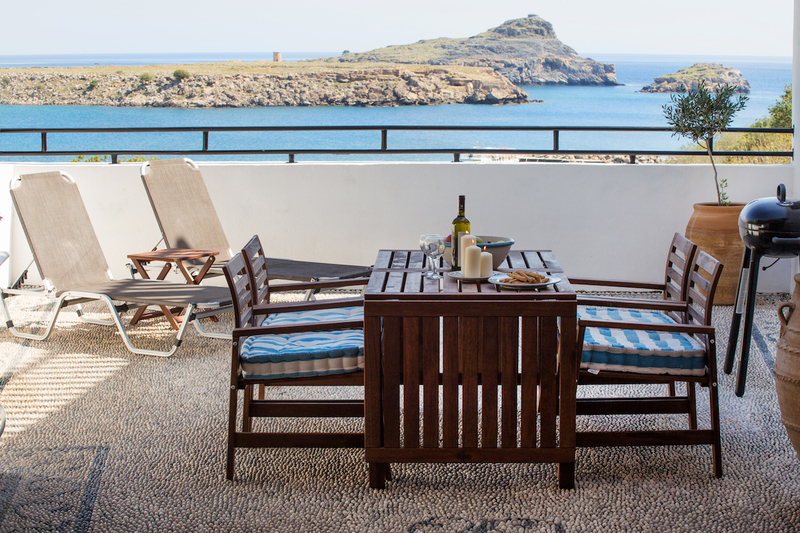 Thea 1 has 2 spacious private balconies with unobstructed views of Lindos bay. 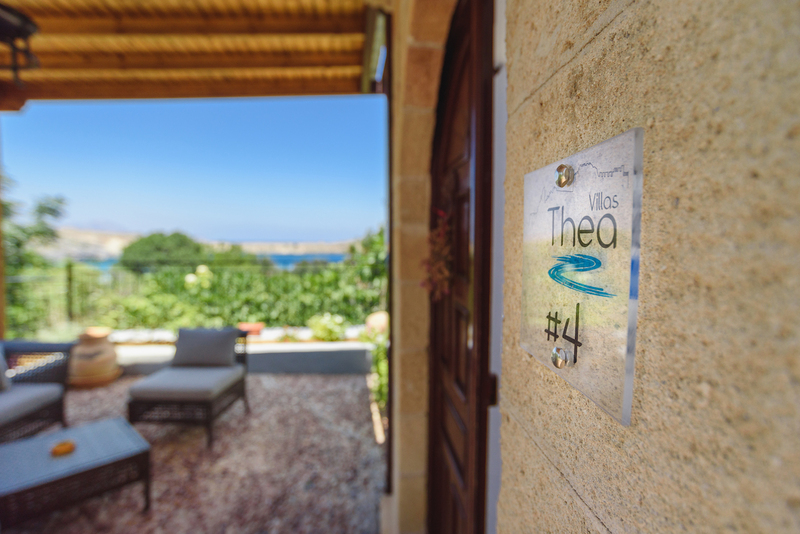 Thea 2 consists of 2 bedrooms, the first with a double bed the other with 2 singles plus a sofa bed. 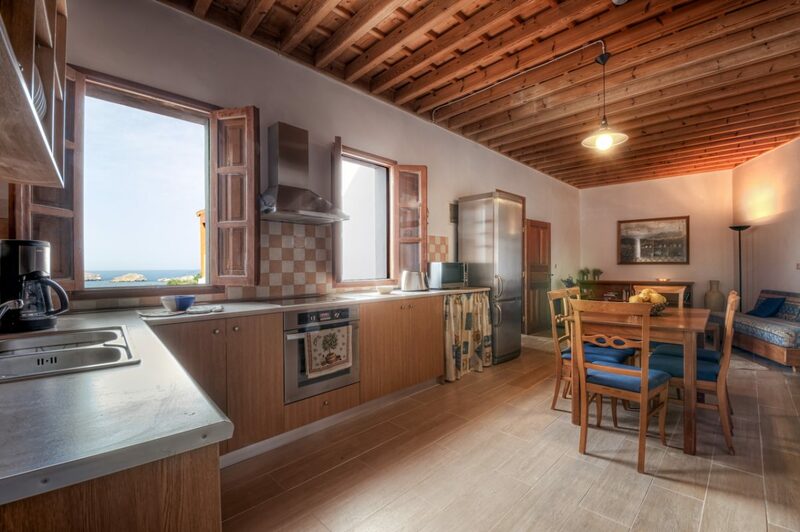 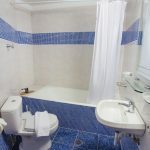 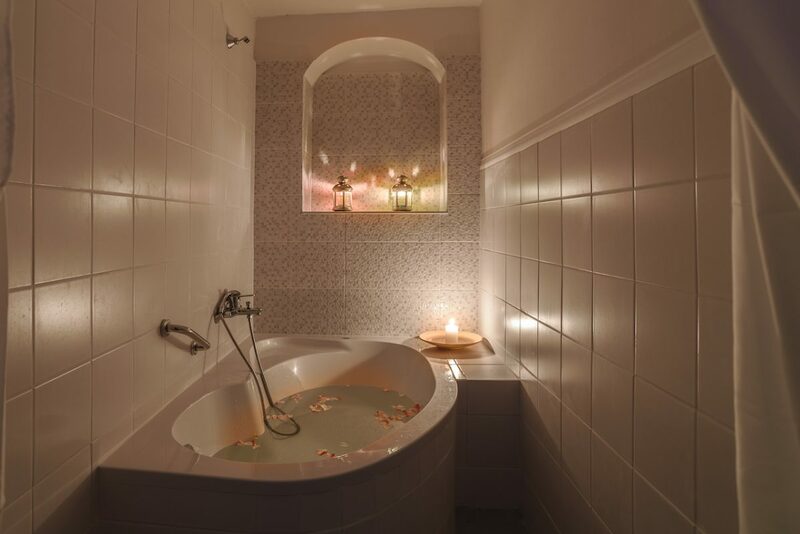 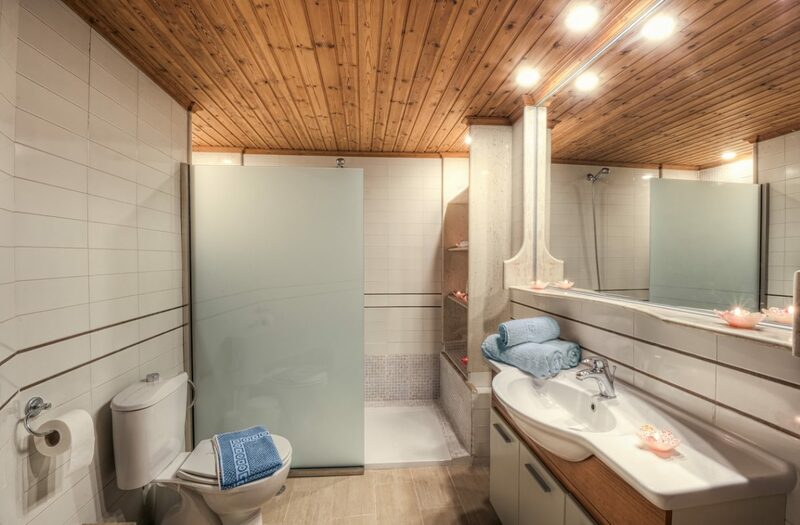 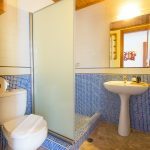 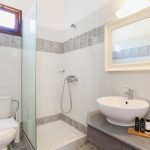 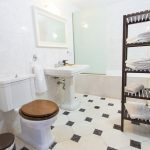 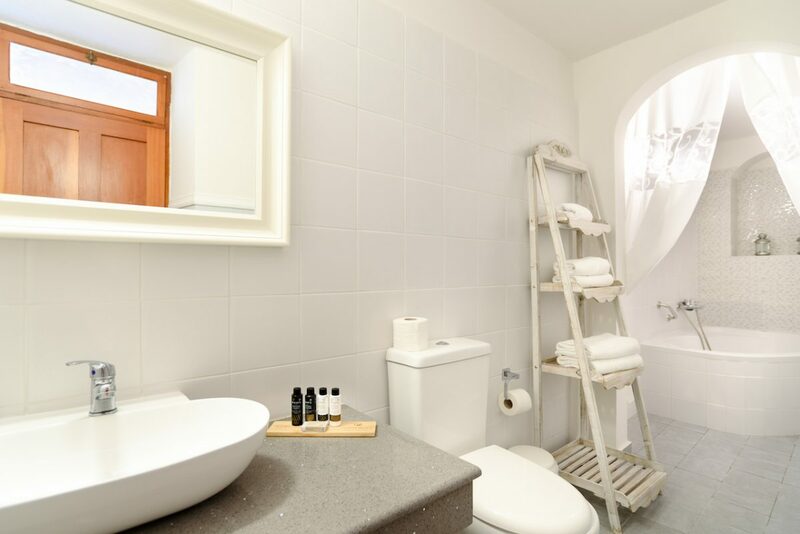 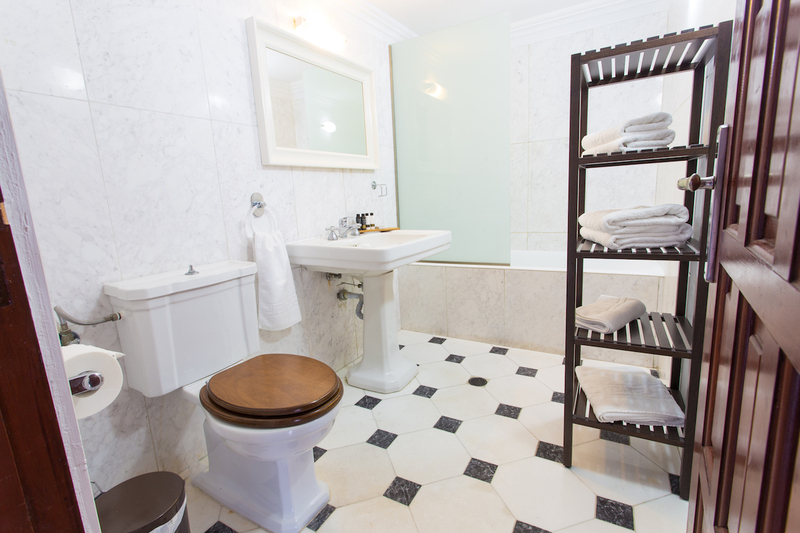 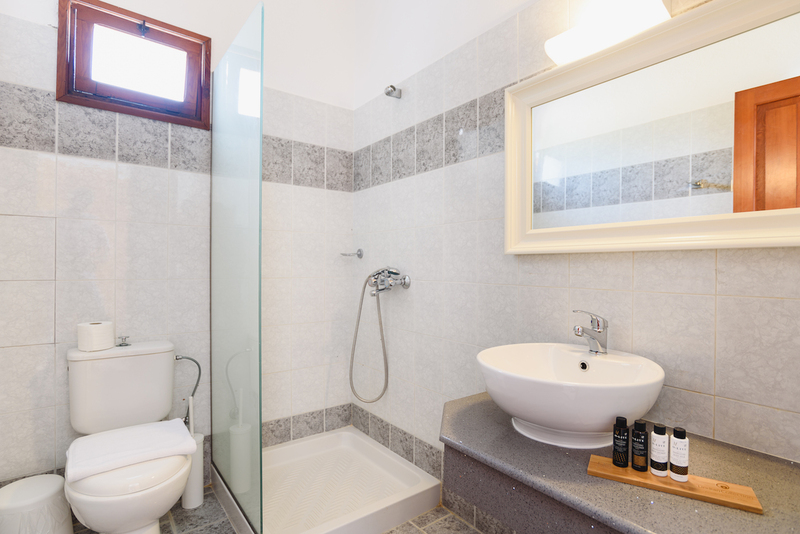 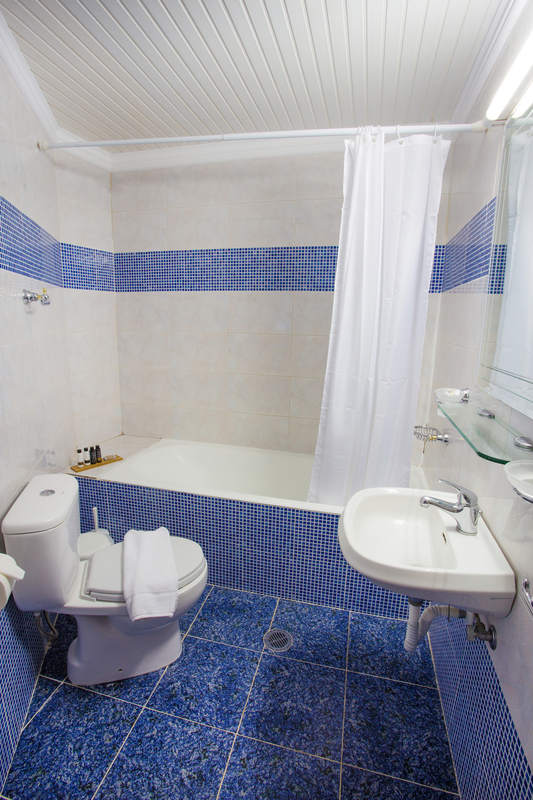 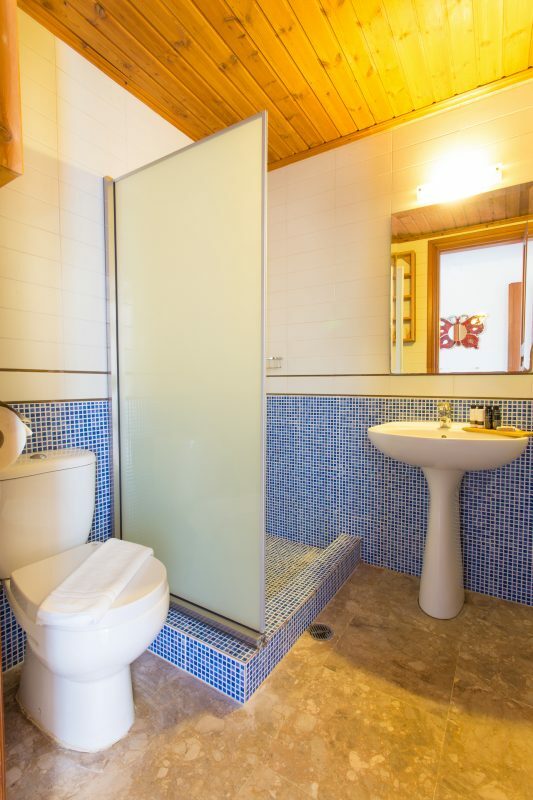 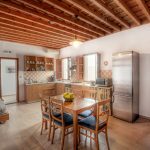 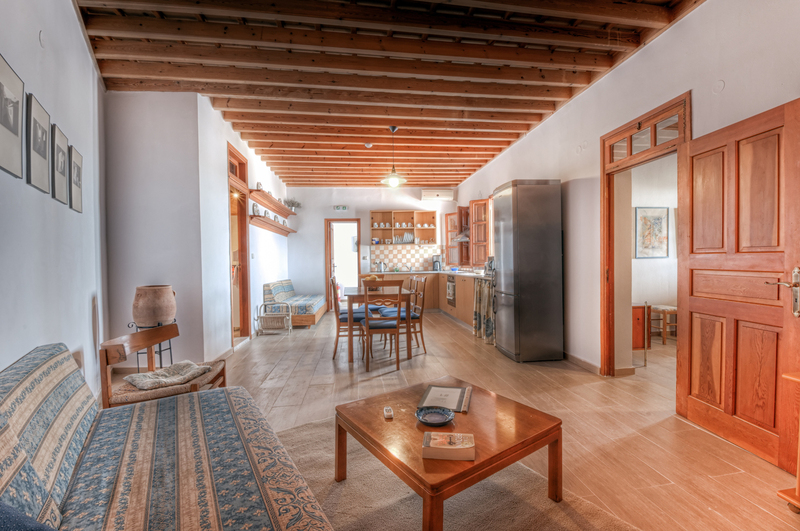 Also consisting of a separate fully equipped kitchen and dining area and bathroom with bath and shower. 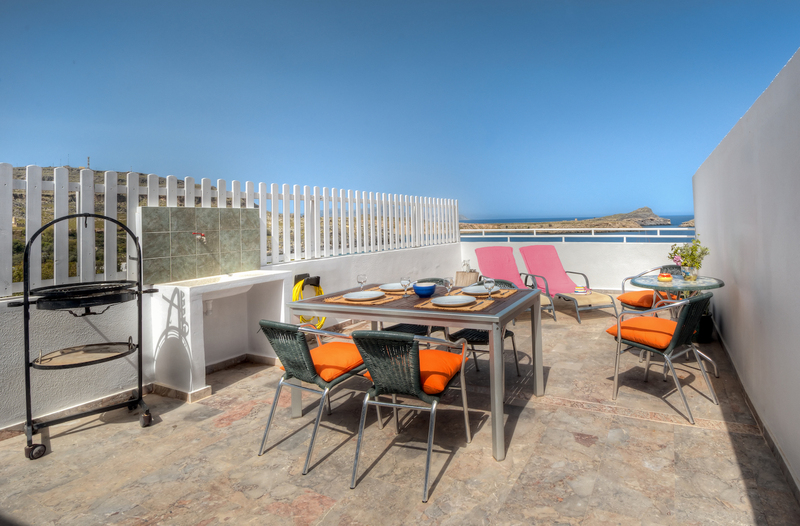 Half of the courtyard is shaded with adequate seating for everybody plus a small sink, BBQ and 2 sunbeds. 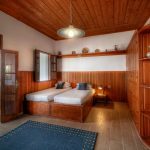 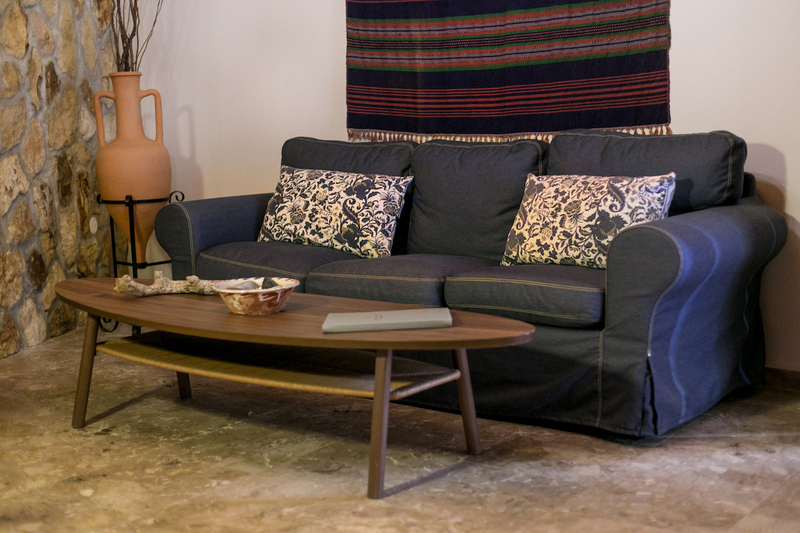 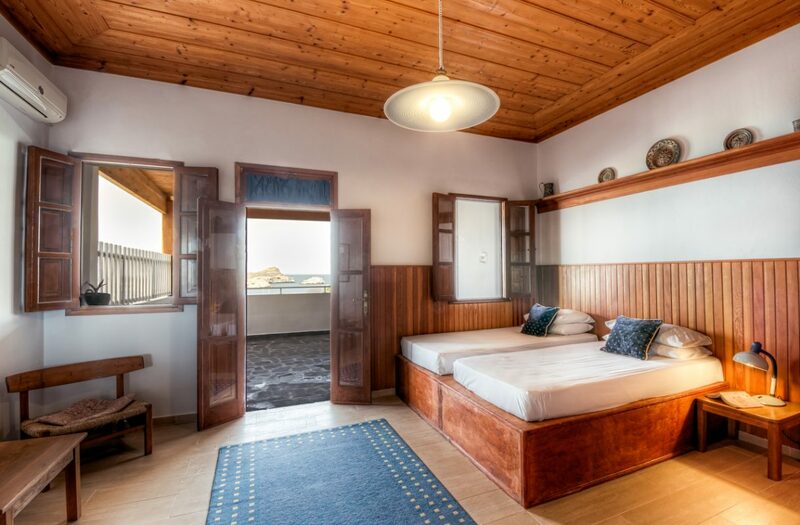 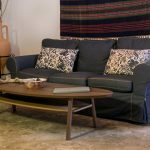 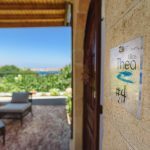 Thea 3 consists of 2 bedrooms, the first with a traditional Lindian sofa bed and the second with 2 single beds and a private bathroom with a bath. 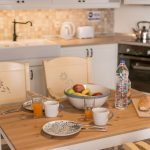 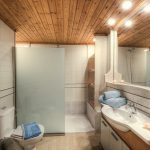 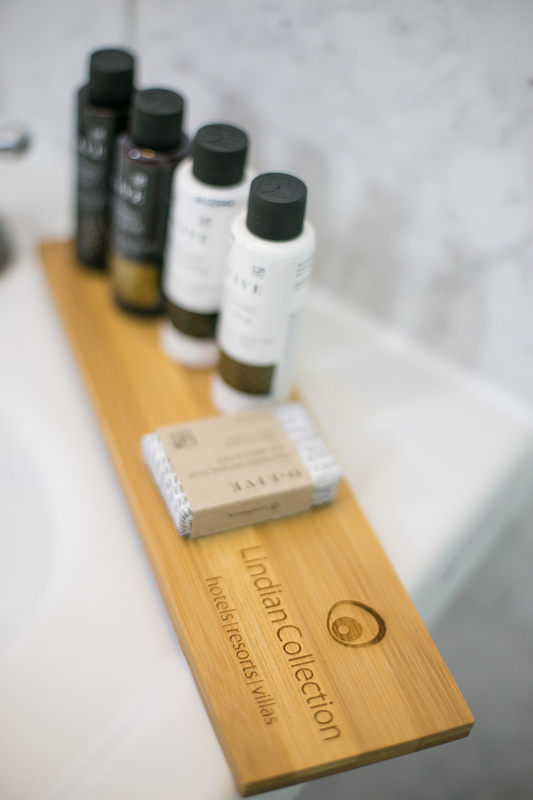 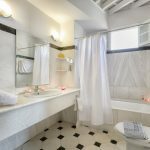 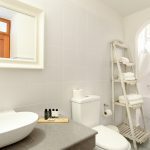 The fully equipped kitchen is big enough for everyone and there is a second bathroom next to the first bedroom with a bath. 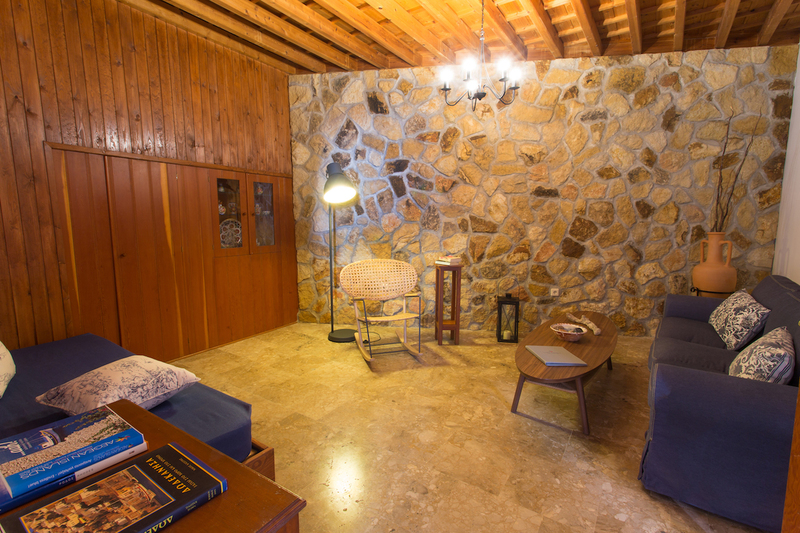 There is a spacious indoor living area with a sofa bed. 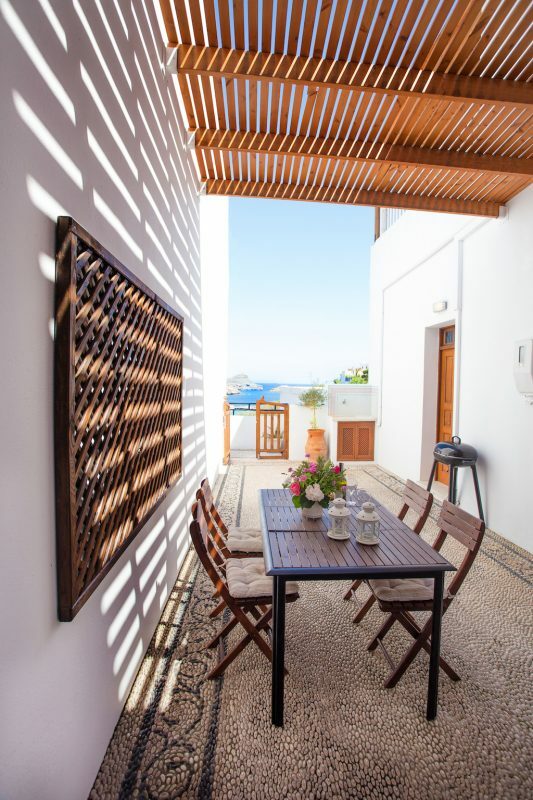 The outdoor courtyard is partially shaded and offers ample seating, a small sink, BBQ and 2 sunbeds. 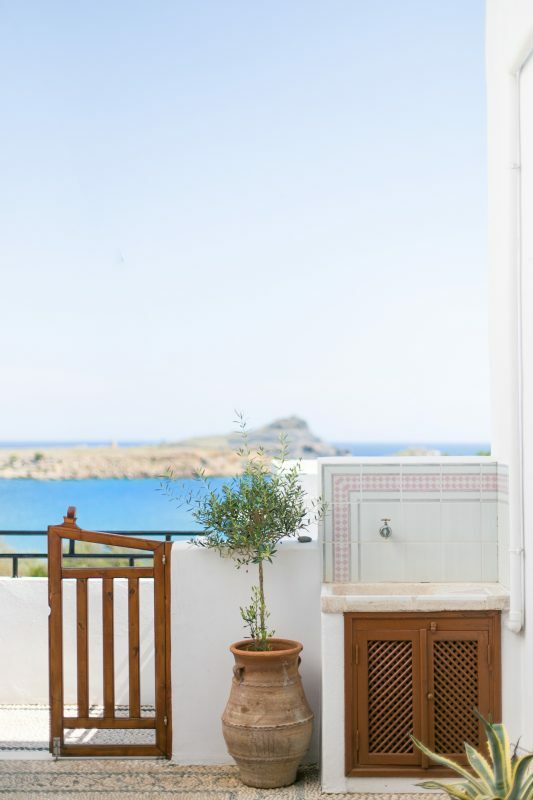 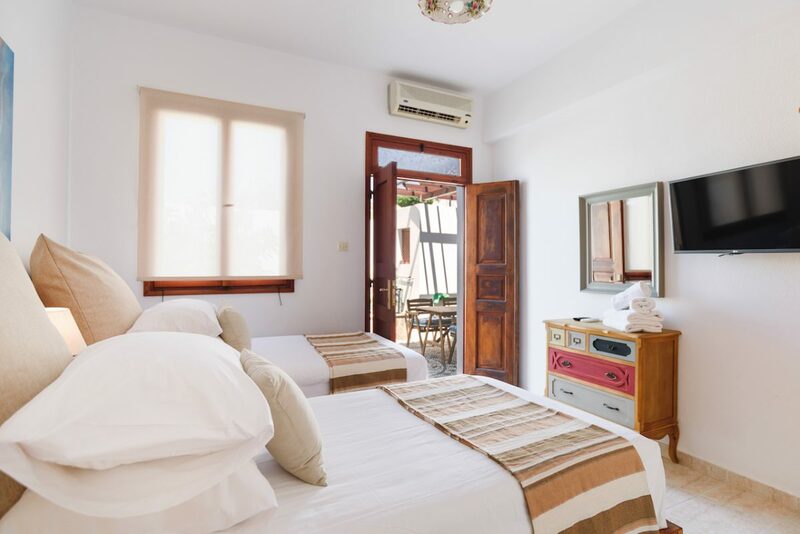 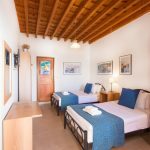 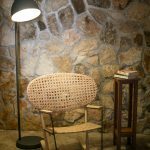 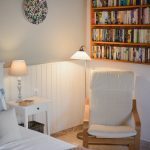 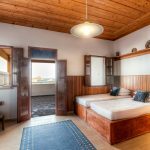 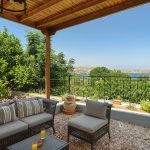 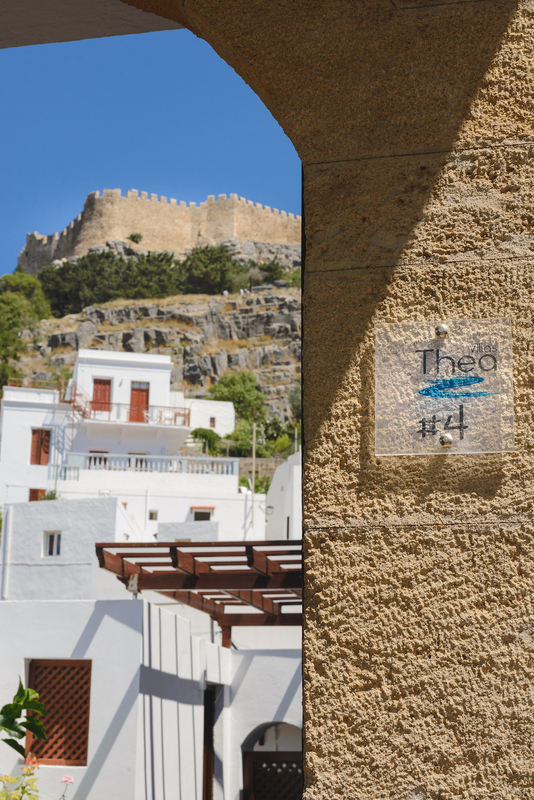 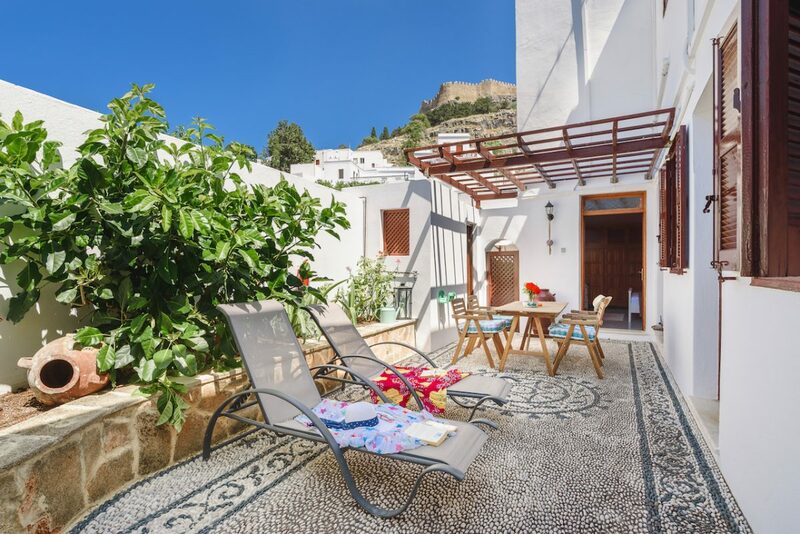 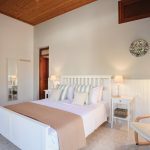 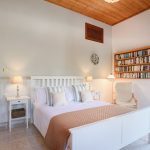 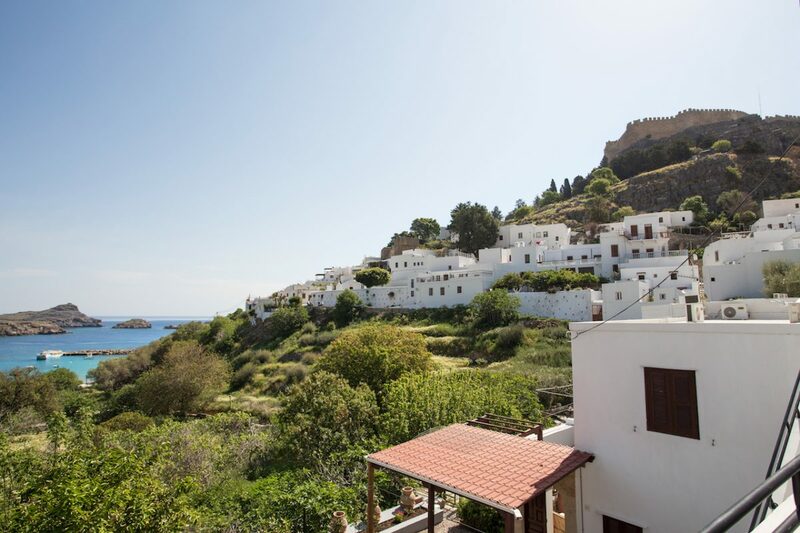 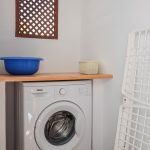 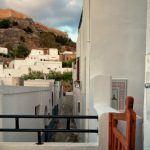 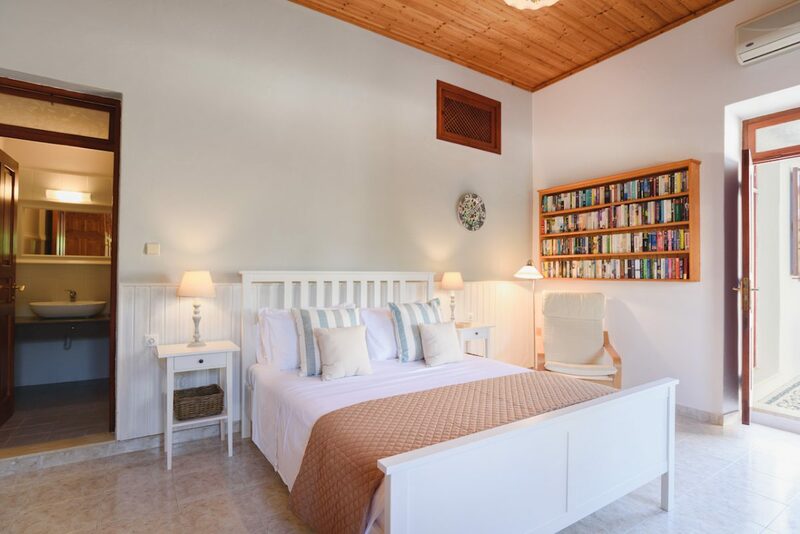 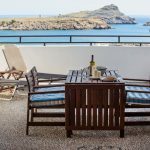 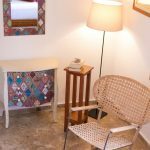 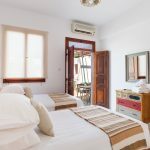 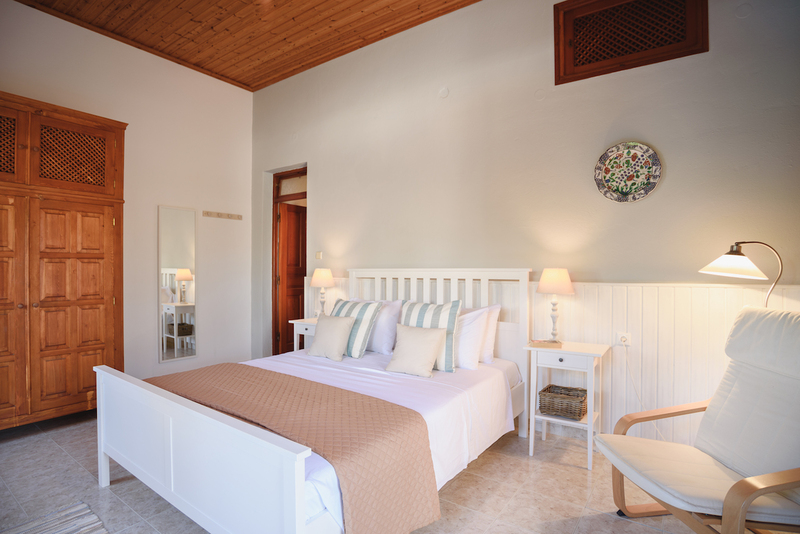 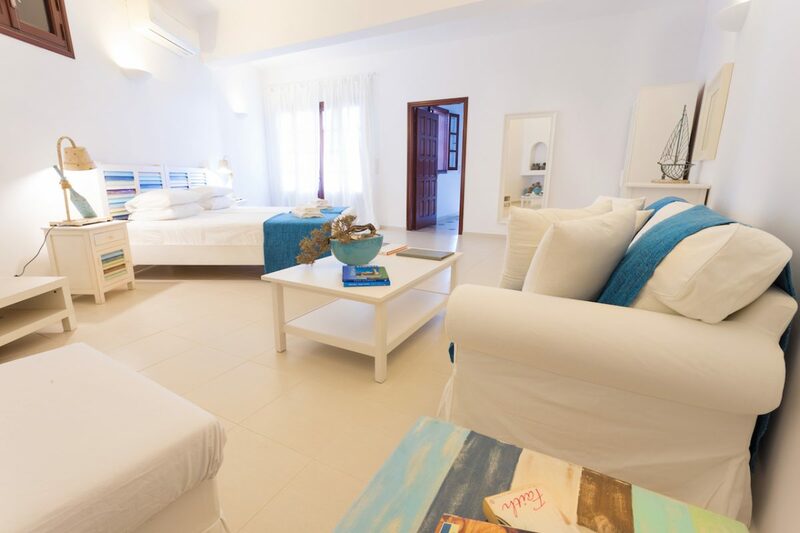 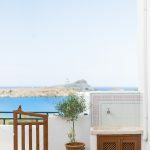 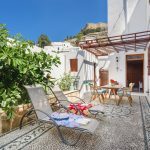 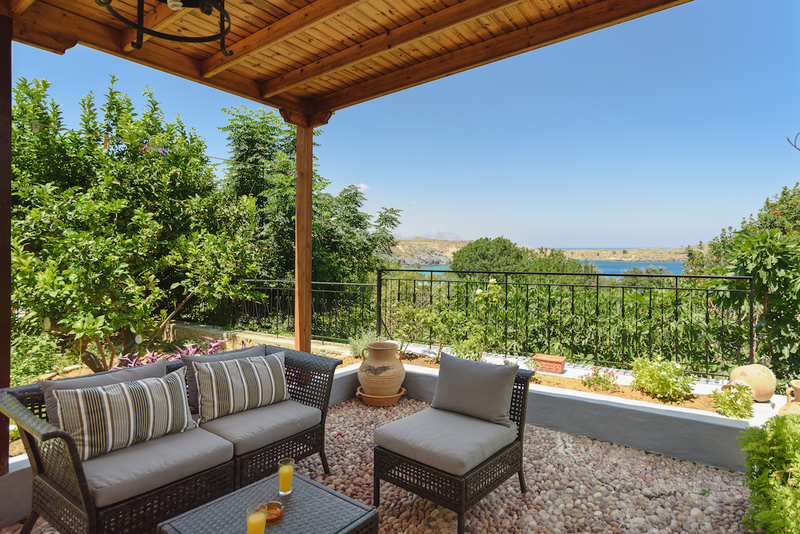 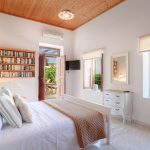 Thea 4 consists of a welcoming entrance verandah situated next to a quiet pathway that leads to the Village, which provides seating and a stunning sea views across Lindos Bay. 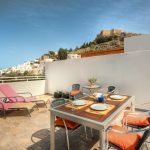 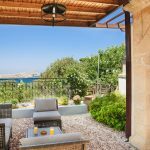 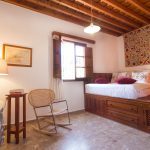 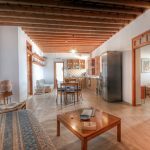 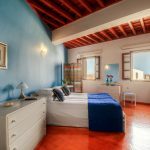 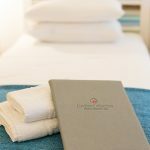 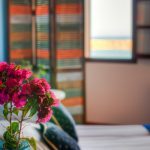 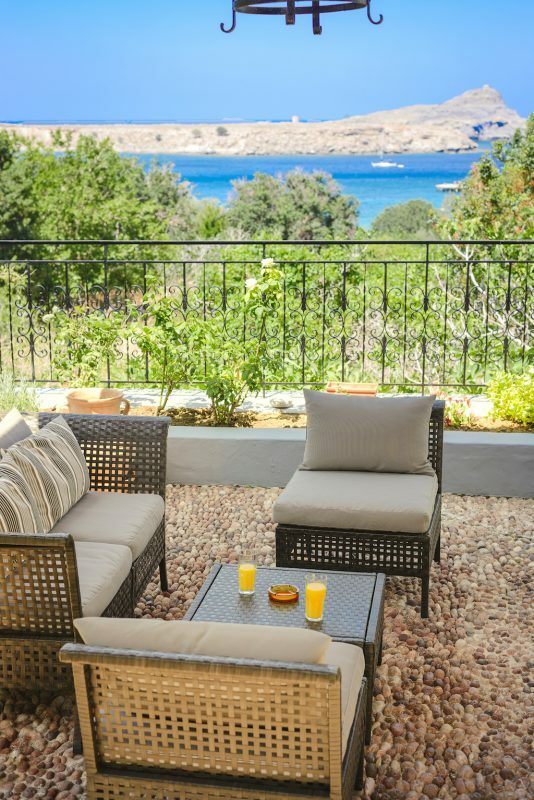 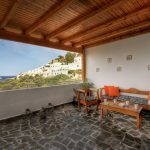 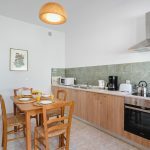 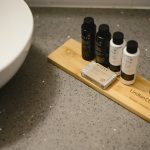 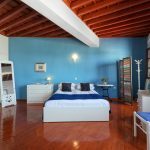 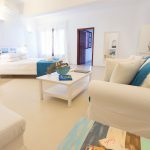 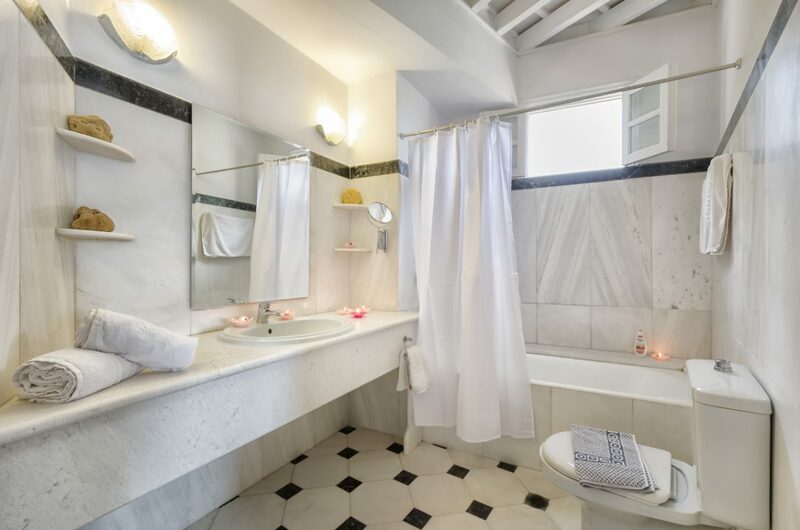 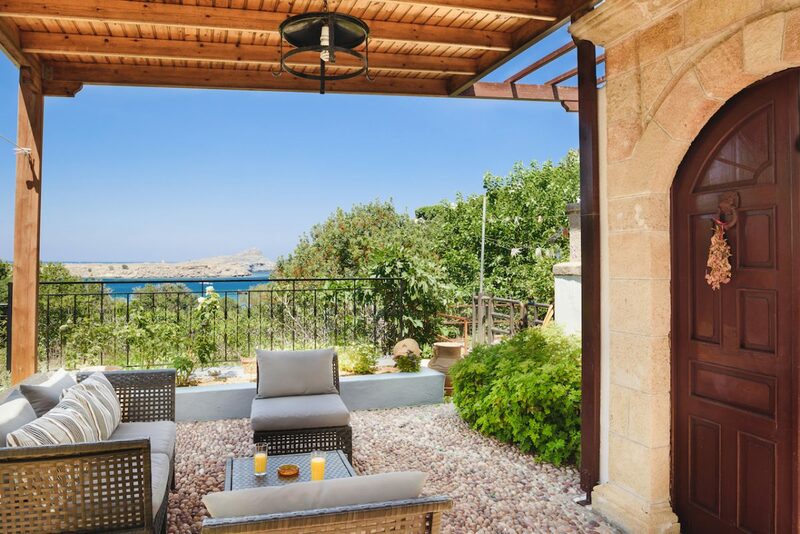 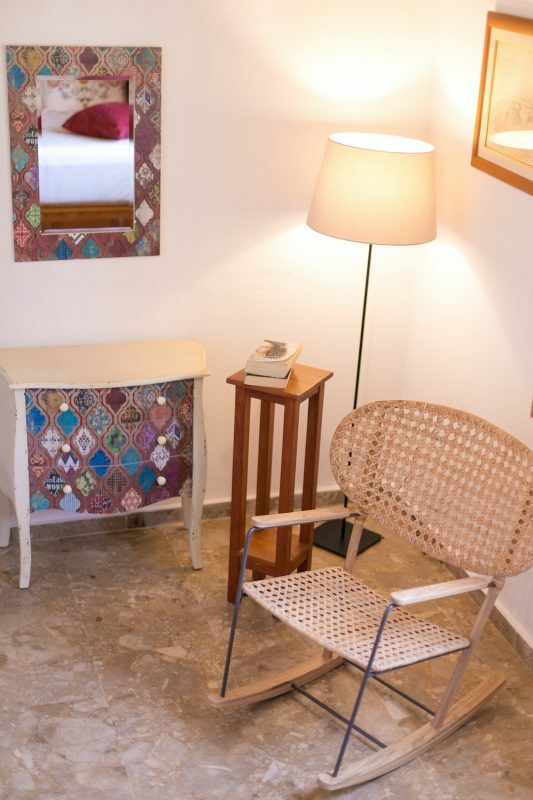 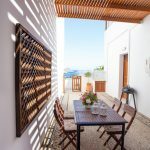 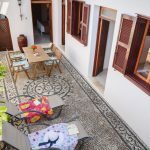 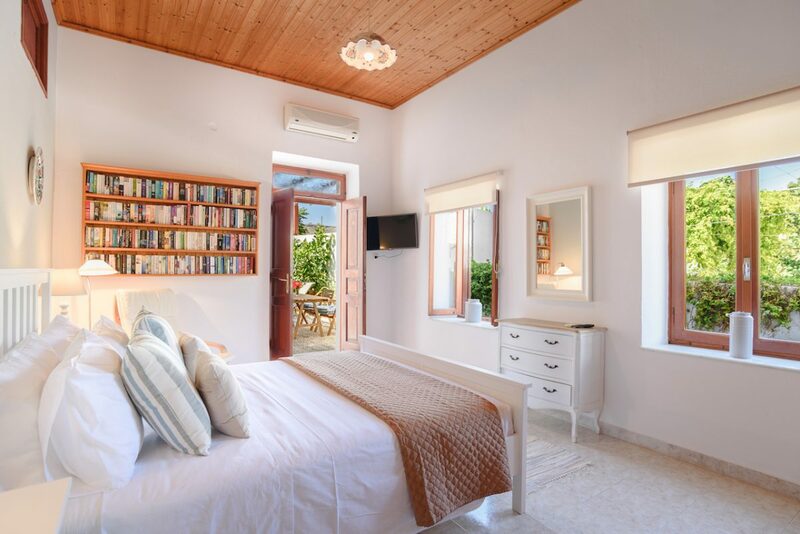 The property opens in to a private courtyard which offers both sunshine and shaded zones, comfortable furniture and those much coveted Acropolis views. 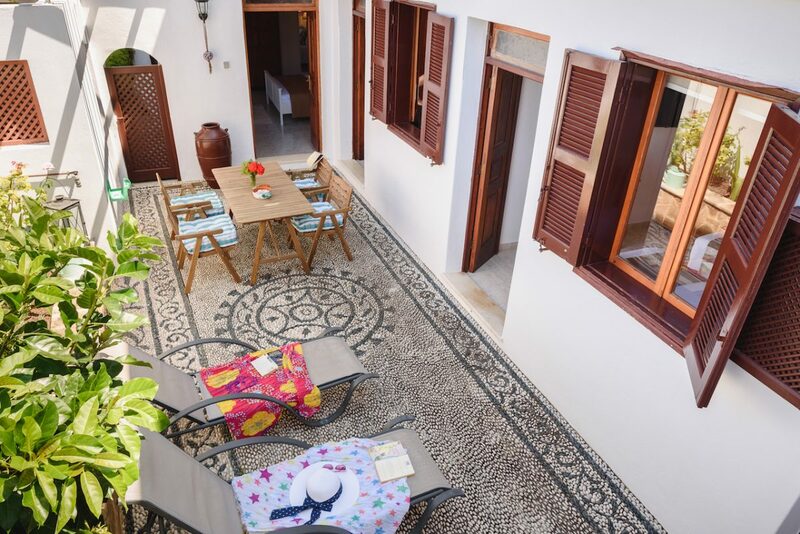 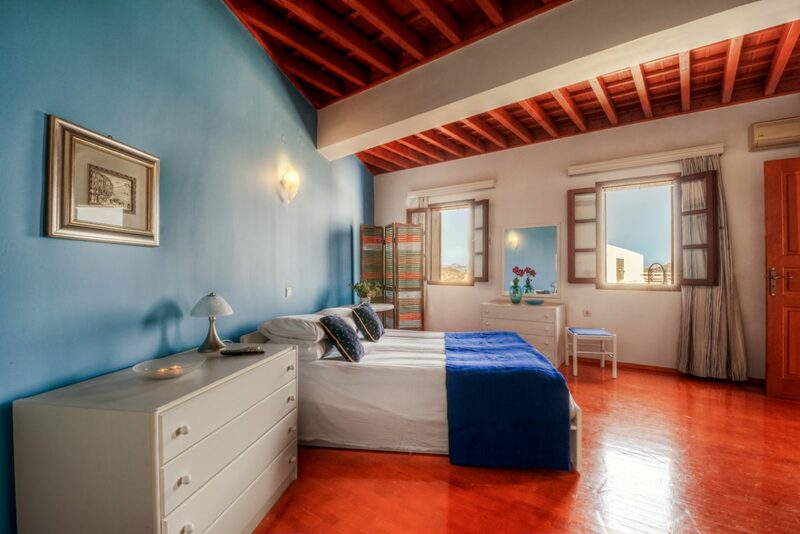 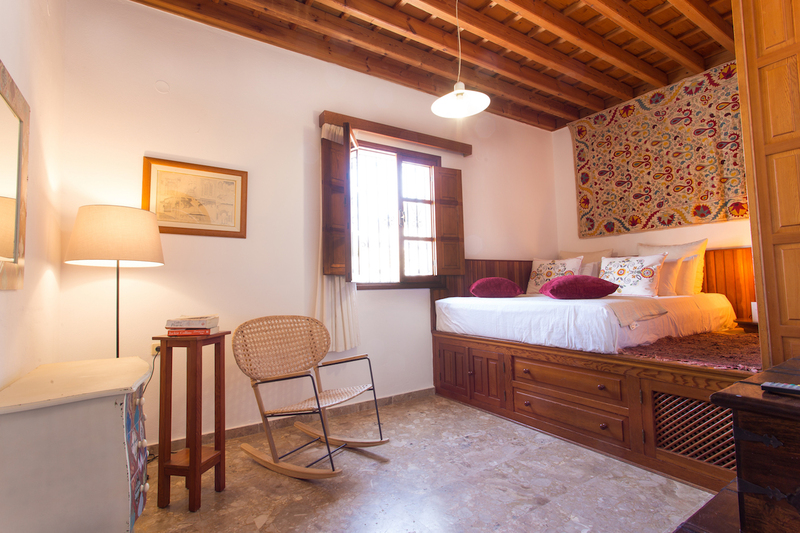 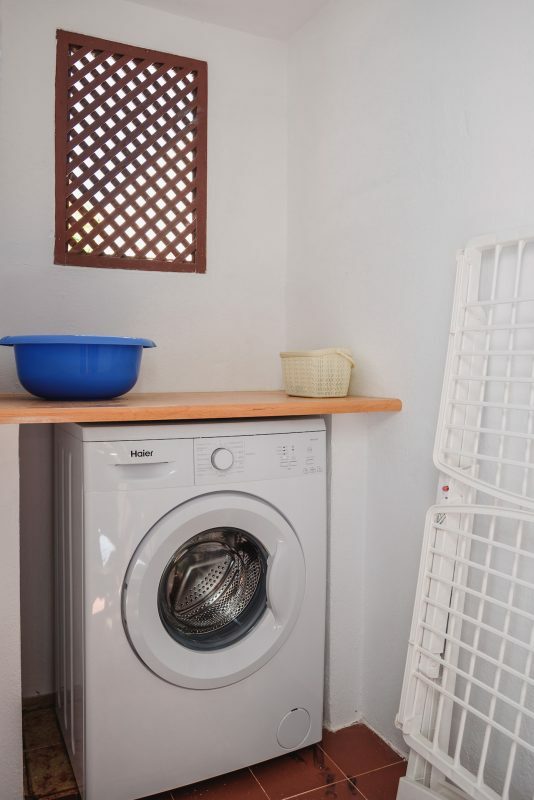 Off the courtyard are 2 bedrooms, both with en-suite, one being a double and one a twin bedroom. 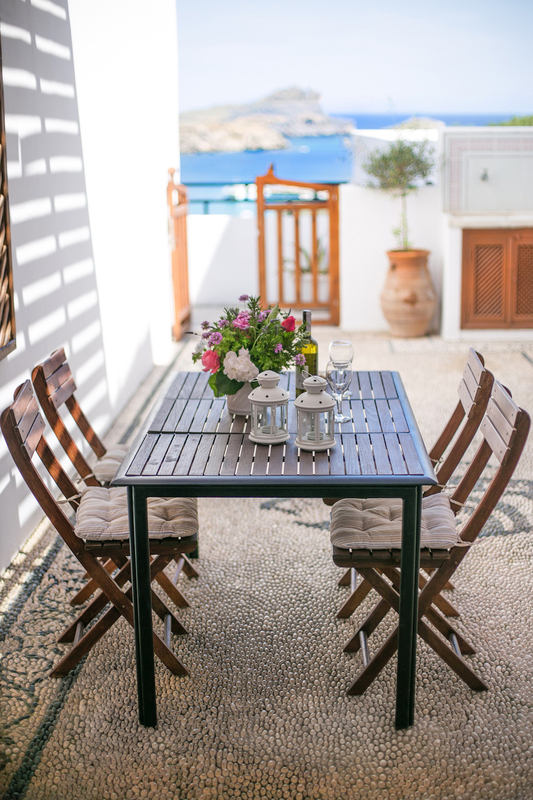 A full kitchen is also located off the courtyard and a small BBQ is available for guests wishing to enjoy cooking and dining alfresco.